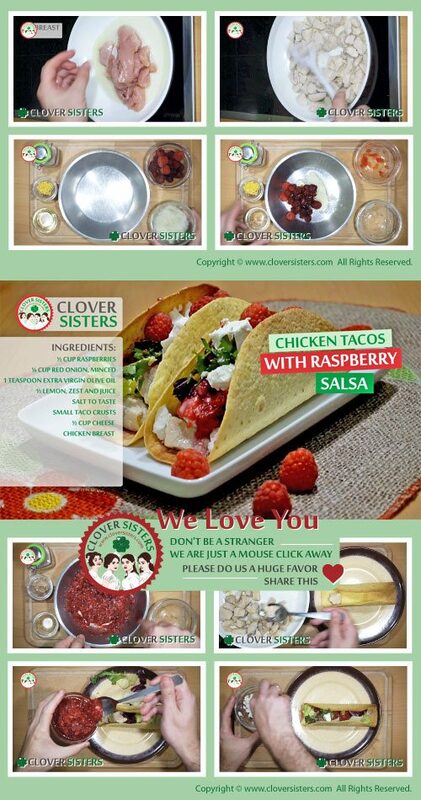 Tacos with raspberry salsa has all we need in summer time when meals should be light and time best spent outdoors rather than around the stove. 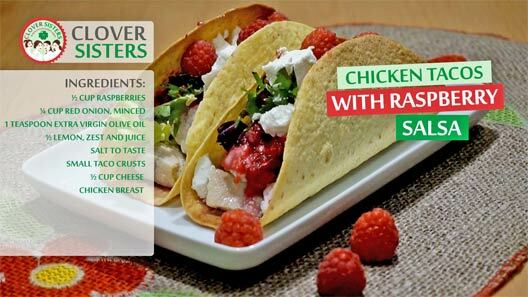 Chicken tacos are rich in flavors, colors, proteins and vitamins and it’s so easy to make, you wouldn’t believe. Fry the chicken breast on olive oil and season to taste. Add the raspberries, onion, extra virgin olive oil, lemon, zest and juice and salt to taste to a bowl and mash together with a fork. Lay your taco shells out and layer with chicken, salsa, and cilantro, and then garnish with a sprinkle of crumbled cheese. Eat immediately!